Give your couponers better, sooner and more convenient discount shopping experience on almost anything and everything. Offers, coupons, discounts and deals. Once there was a time, when you think of couponing, you picture a mom cutting coupons out of the back of the newspaper. However, since the Groupon has introduced a unique concept for offering daily good deals through a mobile application, the term paper coupons & deals have been completely revolutionized with digital coupons. 2.32 billion people in the world have a smartphone and taking a mobile app approach to snag a piece of trending fame is a proven weapon. The idea of giving deals has been around since 1887. Coca-Cola distributed the first-ever coupon and the idea runs successfully. Saving on something is good, but saving on everything is better. By creating your own coupon mobile application you can give new wings to digital coupons over old paper coupon marketing. Daily deal mobile application can help you convert your visitors into potential customers. The core purpose of mobile coupon app is to offer your customers the best deals and price, anywhere and anytime, without waiting for a sale. 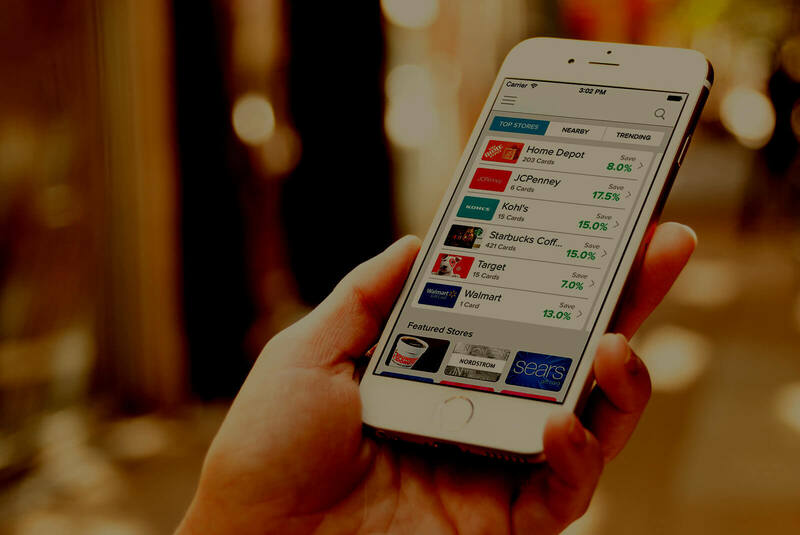 This is the reason, app-based promotions and digital coupons are impressively becoming quick and effective marketing strategy to attract new customers. Tell a custom customer that he can save money and trust me, you will have his attention. Daily deals and discounts are limited to helping your shoppers; they also promote your business too. 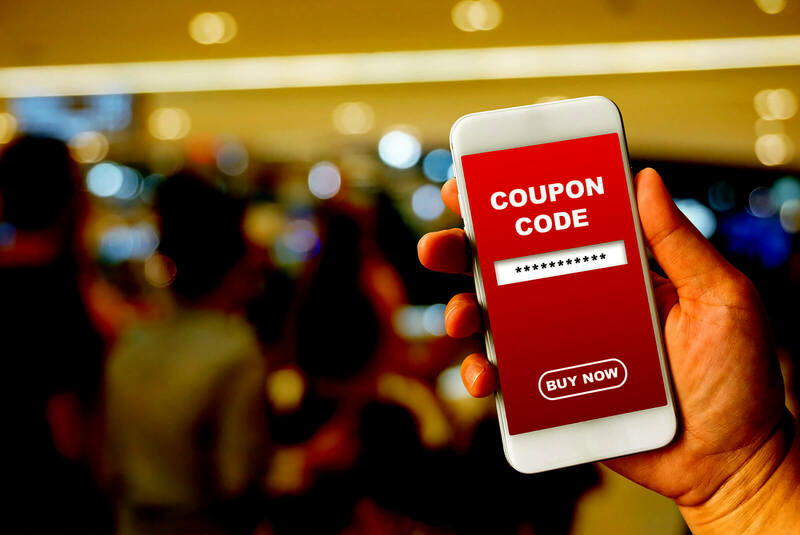 From improving your business reputation to increase sales, offering discounts through mobile coupon apps can help you take your business to the next level. Bacancy Technology is a leading daily deal & coupon application development company, helping the local and global businesses as well as customers with best ever online coupon app development. Create your own custom coupon application to save your couponers’ dollars and help them to optimize the use of coupons and leverage the advantages of an ever-changing sales and discounts. Price based search, Keyword search and discount based search. Bacancy is a technologically advanced and innovative daily deal & Coupon App Development company. We hold an in-depth knowledge and extensive expertise in the area of application development. So, if you are looking for an app – as an advanced services to your customers and innovative solution for your business, get in touch with Bacancy Technology as your one stop web and the mobile solution partner. Schedule A 30-Minute Discussion To Your Coupon App Development. Fonbin messenger is the new and an innovating instant worldwide messaging application! This Android based application allows you to send and receive messages, photos and more over the Internet at no cost. Using this application, you can also make free video and voice calls – one to one as well as with a group! The resume creator application can help you create a beautiful and professional résumé in minutes and stand out from the crowd and get hired faster. During a job search, your resume plays the most significant role. Your Resume/CV presents a proof of your skill, expertise and capability of doing the required job. Having a great resume will place you ahead of the competition in the job search. Making use of Resume Creator application, you can be assured of producing a professionally designed as well formatted resume and turn your job applications into job interviews and job offers! Resume/CV Posting Service with In-app Pucrahse. This project contains two apps. One clover app and second android tablet app. Clover app's role is to sync labels from clover and set label wise preparation time & alert time using user input. Generate reports based on tablet app's data. Tablet app can be run on any android based tablet. User needs to first connect app within clover account. User can connect clover app to any clover account using clover login credentials or Specially developed QR code based authentication. Once the app is connected with clover account it will sync live orders, arrange it & display as the user require. App display order / due time for all orders & provide new order & preparation time overdue alerts. Separate views for Kitchen, Waiter & Labels. Kitchen staff can mark order / particular line item as in Progress & Done. Waiter Staff can mark the order / particular line item as Delivered & Away. Kitalok is an application, developed to provide real time community updates by users for any businesses and events happening around you. The application provides users with the outlets information; inclusive of live reports and photos taken and shared by the users very own community that showcases the current happenings at your chosen outlets. With the Kitalok app, you can avoid the masses by getting the latest update on the crowd situations at your favorite places or from the safety of your home. Join other users in updating the current situations at clubs, bars, restaurants, clinics, banks and more by using the ‘Check-In’ feature. The application is developed to offer consultation on mobile application 24*7. Consult with the doctor through chat or call without any hassles at your convenience and give rating and review for the doctor. Docs App gets in touch with you a doctor in 30 minutes and that too without appointment booking. DocsApp has doctors for all the specialties. More than 70% health problems can be treated online by doctor through chat or call consultation. DocsApp has MD Doctors online from Bangalore, Mumbai, Hyderabad, Delhi etc. Specialist Doctors are available in Gynecology/Gynaecology, Dermatology, Hair Scalp Care, Psychiatry, Pediatrics, Weight management, Pregnancy diet, Pregnancy problems, Stomach problems. Use DocsApp to chat with a doctor in 30 minutes, take consultation, give rating and review the doctor. Looking for the latest and lowest petrol & diesel prices in your city? Here’s Fuler, a simple application that is designed to give real-time fuel prices just on a tap. Select your city and get the list of petrol and diesel prices in all the major cities and towns of India. Our goal is to make Fuelr a simple as well as useful application and provide each of our users a real-time fuel price of all the major cities of India on their palm. Infotemp is a time tracking application that can be used from your smartphone as well as from your computer to capture your work and absences in seconds. It is an easy way to keep accounting yourself or your employee’s time records or records of the hours in a minute. With the Geotracking you can create projects and only then allow the timesheet when the person the defined location resides. Infotemp have inbuilt efficiency to detect leave requests, sick leave or compensatory time off days in seconds. It automatically sent approval to the supervisor. Try the Infotemp time recording, because it’s an efficient application to save your time and effort. SMS Voice Responder Application is a rich and powerful application to reply text messages (SMS) from anyone with your voice and completely hands free. SMS Voice Responder reads out the incoming message for you and at the same time with making use of this application you can revert back to that particular SMS without typing a message. You just have to speak the message you want to send and the application will convert your voice speech into text and will reply back to the person as an SMS and that is it! This application has been designed to help parents, teachers and educators to teach today’s children through technology. Kids are always texting and teachers are always looking for ways to reach their students. Meet Educatext. The first app created to help educate our students. Send and share from the built-in student categories. Educatext is a motivational tool and a resource to help your child succeed. Start off using this resource to motivate and challenge your child to achieve a greater knowledge and understanding of any subject matter. A social gathering planner application for your friends and family. Plan your next meeting or party with Sociable. It’s a fun way to arrange an event with your near and dear ones. This application is designed with a motto to organize better events and less stress. Stay up to date with your favorite people. 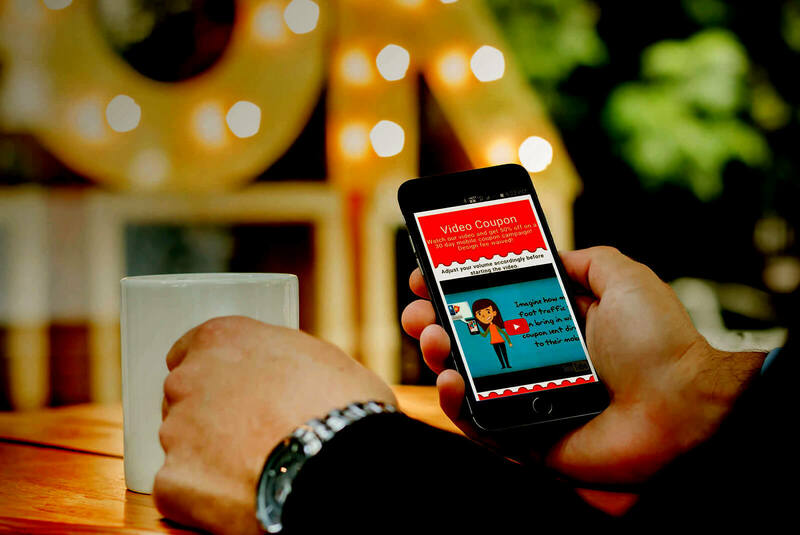 Make use of this application to organize, arrange and invite people to do a social gathering, party, meeting, event and more. Stop wasting paper and save trees. The classic paper and pencil game, generally known as Xs and Os, Noughts and Crosses and most commonly known as Tic-Tac-Toe is now available on your iPhone touch for free. Tic Tac Toe is a great way to invest your free time, whether you're sitting Idle, standing in line or wish to spend fun time with your kids, this exciting game is for people of all ages. Staff Spotlight application has been designed with a purpose to provide a platform to give positive reviews to members of staff at all levels from all industries around the world. For the general public and people all across the world have access to this application where they can leave a positive review/rating on a member of staff. The staff can be from any business/service or industry. Businesses can then see and reward top performing staff. This scheme is called ‘The Staff Spotlight Programme’, the SSP! Staff Spotlight will help you represent your business as well as it will also increase the appeal to have only the best of staff working for you. Myde is a map Based Social tool designed to help users find events around their current location. It is designed for the everyday man, a tourist or a newcomer to a particular city or location. Anyone looking for a place to go and TURN-UP It is also an important tool for the event planners, club promoters and anyone who wants to share their event to the world. Myde Event icons are sensitive to the social media traffic following your event. Showtimes is specifically designed to encompass all of your movie wants and needs. Where you can play trailers right from the app. You can also access ratings, descriptions, see which movies are the most popular, which are newest, highest rated and check out upcoming films. Showtimes recognizes your location and connects you to every movie playing near you. Browse showtimes, critic ratings, box office sales and more. Still want to do more research into the flicks you love? Read summaries and flip through posters to get you excited for the show. The application also offers aggregated critic reviews and ratings to help you make the perfect decision. Experience movies like never before. MyInterra is an Android based application that is designed to collect wellness data and provide immediate results. It allows participants to view and update their information on the go. Using this application, authorized users can schedule appointments, record wellness activities, run risk assessment reports and share results with their physicians. MyInterra lets you manage your wellness wherever it is the most convenient. With MyInterra, you can view your profile, reports, rewards or schedule an appointment. "ASC collects Bioscreen and Venipuncture screen data at screening locations." Track fitness efforts and support a charitable cause! This application is an activity tracker and it is designed to track records, including walking, running, jogging, hiking, swimming, aquatics, bicycling, spinning, cardio, aerobics, yoga, zumba, pilates, dance, motion fitness video games, yoga, martial arts, tai chi, sports, strength/weight training & more. Use this application to raise awareness and support the public charity. Get in Gear enables you to track your GPS distance and duration, all while listening to your music playlists. This app is free and designed to be used by anyone, no matter what type or what level of physical activity you engaged in. Hair salon scheduler empowers beauty professionals, salons and barbers by managing their appointments, marketing, money and client relationships. Hair Salon Scheduler allows Salon staff to Book & Manage appointments, using the Clover Station (APP). Customers can search and book appointments using expansive directory of professionals offering hair, beard, nails, brows, waxing, and other related services. It’s a FREE online appointment booking service for Salon's customers. Discover the breakthrough app to will save your valuable time booking salon appointments. Food orders display cuts out printers & paper. It manages orders using the clover station. Once the order is entered it immediately displays on any number of tablets deployed within kitchen and waiter’s collection area. This application helps to provide faster and more accurate supply of food order details to kitchen & bar. Orders can be flagged as 'in-progress' with one touch. Can toggle between 'open' & 'completed' orders. Displays the status of orders instantly to chefs, bar staff & waiters. Food orders display helps to make clear communication in fast-paced restaurants. ReadIt4Me is a wonderful application that takes any news and information online and conveniently turns it into audio for listening on any device, anyplace, anytime. No more boring radio, rambling podcasts, or missing news; save time and only listen to exactly what you want, when you want. It's like a DVR for your ears; neatly organizing all the news and information found online creating a playlist of your interests. When you come across news or information online that interests you, simply add it to ReadIt4Me. The voice-talent reader community will take your request and reads it out loud; transforming it to audio. When the content is ready, your request is automatically added to your ReadIt4Me playlist for listening; it's that simple. Kitalok is an application, developed to provide real time community updates by users for any businesses and events happening around you. The application provides users with the outlets information; inclusive of live reports and photos taken and shared by the users very own community that showcases the current happenings at your chosen outlets. With the Kitalok app, you can avoid the masses by getting the latest update on the crowd situations at your favorite places or from the safety of your home. Join other users in updating the current situations at clubs, bars, restaurants, clinics, banks and more by using the ‘Check-In’ feature. Snap, discover and redeem rewards and amazing deals with OnCalled. Now, you no longer have to waste the one thing that you see most in your daily lives, receipts. With OnCalled, you can Snap the receipt, earn points and Redeem rewards and discounts on amazing deals with the points. Never miss out. Now, you'll be able to discover amazing deals in new and interesting places around you with ease! Follow your favorite businesses and get notified every time they have a new deal up and running. Download now to Snap, Discover and Redeem today. Bringur is the ultimate delivery app that will deliver anything you request. The application gets anything on your doorstep available in your city. Just name the shop and item will be delivered in minutes at your doorstep. Consider Bringur driver as your personal assistant. You can also text or call them at any point during the delivery. Bringur offers real-time tracking to track your driver and know the status of your ordered delivery. Help purchase and deliver items for people around your city. Make money on your own schedule. Fonbin messenger is the new and an innovating instant worldwide messaging application! This IOS based application allows you to send and receive messages, photos and more over the Internet at no cost. Using this application, you can also make free video and voice calls – one to one as well as with a group! Surv is a nightlife iOS application for booking bottle service, reserving tables, and buying line passes at nightclubs and lounges! The Surv app lets you browse through the best nightlife venues in your city and book a table. Get exclusivity and VIP treatment with your own table and premium alcohol for you and your friends to enjoy. Celebrate and relax in style! Surv's goal is to bring the best nightlife experience to everyone everywhere and make it simple, fast, and fun! Surv is currently available in New York city and San Francisco only. PMP is an iOS based pre-exam preparation guide that is designed to help you prepare for the PMP Exam. There are around 1000+ question banks, which will help you to crack PMP Exam very easily. The Questions are collected from people who already passed PMP Exams. The app offers 10 mock tests with a timer which contains the same format of PMP Exam. Crack it, break it get certification and have fun. Revolution is a messaging app that is designed to let you control your RECIPIENT's conversation history. This app has a UNIQUE feature that enables you to edit, delete and control the text messages, as well as delete voice messages and media files that have already been sent to their Recipients’ devices. Even after the message has already landed in the conversation history, still without the possibility of the recipient ever getting notified about such action or getting to know about it, you can edit, delete and control the text message. In a world where haphazard ads, comment threads, pictures, links, and videos clutter profiles and compete to represent users, Quotez understands that nothing can represent you better than the words that surround and impact you. Quotez is the premier iOS application inspired by the sharing of quotes of yourself and among friends. Using Quotez, you can quote yourself, your friends, and your influences with the confidence of a private social platform free from the judgement of employers or the general public. Quotez removes the clutter of today’s social media and brings the focus back to what is important: whatever words matter to you. Track fitness efforts and support a charitable cause! This application is an activity tracker and it is designed to track records, including walking, running, jogging, hiking, swimming, aquatics, bicycling, spinning, cardio, aerobics, yoga, zumba, pilates, dance, motion fitness video games, yoga, martial arts, tai chi, sports, strength/weight training & more. Use this application to raise awareness and support the public charity. Get in Gear enables you to track your GPS distance and duration, all while listening to your music playlists. This app is free and designed to be used by anyone, no matter what type or what level of physical activity you engaged in. Catchbasin is an iPad based native application used by the field technician to treat catch basins. Field technician will be required to login into the application based on the default zone to maintain catch basins and prevent storm sewer blockages and minimize the amount of pollutants entering storm sewers which may eventually discharge into local streams and waterways. Each Technician will be assigned default zone. Technician will be allowed to update certain fields that include what sort of product is used in treatment, time-stamp, picture to upload, and other relevant fields. The application will auto-sync the on-demand data. Big Century is a one stop destination for all of your favourite clothing. It is a marketplace to buy electronics, books, music and movies. Select your preferred merchant and buy your stuff trouble free with pre-installed easy to use and secure payment gateway. Choose your favorite stuff from thousands of available options and get it delivered at your doorstep. MyInterra is an iOS based application that is designed to collect wellness data and provide immediate results. It allows participants to view and update their information on the go. Using this application, authorized users can schedule appointments, record wellness activities, run risk assessment reports and share results with their physicians.